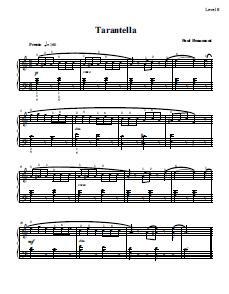 The SASR (Standard Assessment of Sight Reading) was created to assess and track sight reading progress. 165 collaborators including university professors, private piano teachers, and students were consulted on the creation of this project. Because of it’s non-subjective nature, SASR has become the International Standard for assessing Sight Reading. The test is administered electronically via a computer and piano through a MIDI connection. Subjects are given an excerpt to read at sight for which they are assessed for correct rhythms and notes. The subject is given one attempt to read the excerpt. The excerpt begins at a level one difficulty. Depending on the score, the test advances to more and more difficult music. If the subject continues to read at an 80% proficiency or above, the test continues to increase in difficulty. If the proficiency drops below 80% the difficulty is decreased. 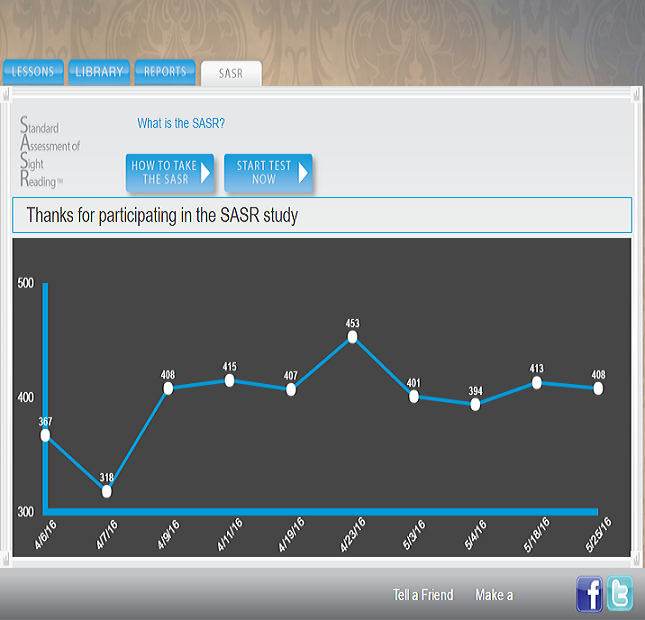 If the proficiency drops below 80% 3 times, the test concludes and the subject’s SASR score is automatically formulated. Understanding the psychology behind motivation to improve sight reading will help piano teachers work more effectively with their students. It is human nature to assess ourselves, set goals and work to accomplish those goals. Having a standard by which we are assessed is an extremely powerful motivational tool in that we receive a concrete assessment as to where we are with our ability to sight read allowing us to track improvement.